This post was written by Evan Barrientos, one of our Hubbard Fellows. Evan is a talented writer and photographer and I encourage you to check out his personal blog. Warning: This post contains images of fluffy, baby animals. Along the edge of one of our prairies there is a road lined with mature cottonwood trees. Although I appreciate the wide-open prairie environment, I like to take a walk once a week in the shady security of this miniature forest. The rustling leaves are soothing, shade is a novelty, and the trees bring back memories of hiking in New York’s forests. I also happen to see a lot of interesting wildlife behavior when I go here. One morning in July I was jogging down this road when I spotted an Eastern Screech-Owl being mobbed by Baltimore Orioles and American Robins. I sprinted back to my house, grabbed my video equipment, and hurried back before the action was over. For several minutes I filmed as the orioles and robins viciously pelted the seemingly harmless owl (click here for a previous post I wrote about this behavior). It amazed me that the owl could withstand such harassment so patiently. Despite several painful-looking beak-jabs to the back of the head, the brave little owl outlasted the assault and was finally left in peace. Only then did I realize why she had refused to leave; she had babies to look after! In a nearby branch I finally noticed three owl fledglings trying to sleep. 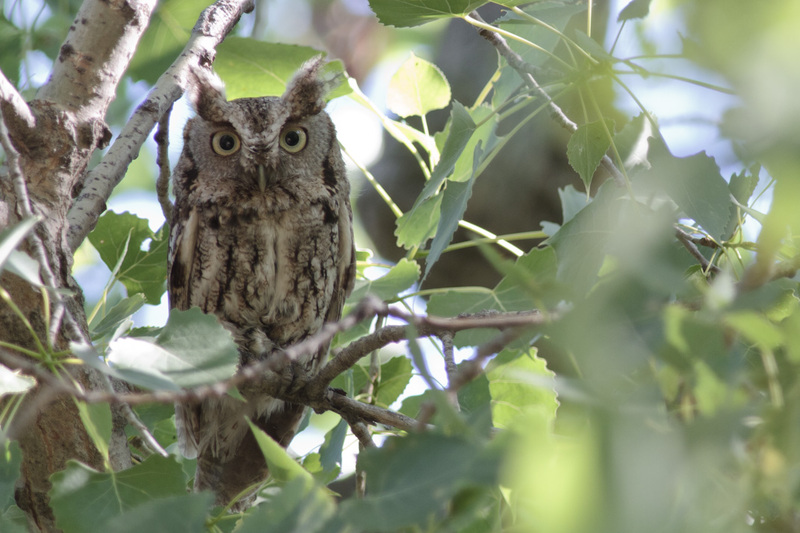 In addition, there was a second adult screech-owl who seemed equally intent upon sleeping unnoticed. I don’t know which adult was which gender, but I like to imagine that it was the mother who bravely endured blows from the angry songbirds in order to let her family sleep in peace while the lazy dad took a nap. Either way, I always find it touching when I see animals put such great effort into protecting their young. Trees provide perches for aerial predators (such as owls and hawks), which increases predation rates of prairie grouse and mammals. Tree corridors provide safehavens for woodland nest predators (such as skunks and opossums) as well as brood parasites (i.e. Brown-headed Cowbirds), who venture into the prairies for prey/hosts. Thus, wildlife in small prairies bordered by trees experience abnormally high rates of nest depredation and parasitism. If uncontrolled, trees form dense canopies that shade out prairie plants, which are adapted to full sun. This makes it harder for prairie fauna that rely on prairie plants for food and shelter to survive. The result is a positive feedback loop: the presence of trees encourages more trees to grow. Trouble on the horizon? The trees bordering this prairie are the same ones that I love walking through. So what’s the takeaway? Our relationship to nature is complicated. Nothing is simply good or evil. On one hand, trees may seem like a existential threat to prairies, but on the other, I value them for their soothing shelter and the species they harbor. I think the key to this dilemma is diversity. Although I appreciate woodlands, I also appreciate prairies. 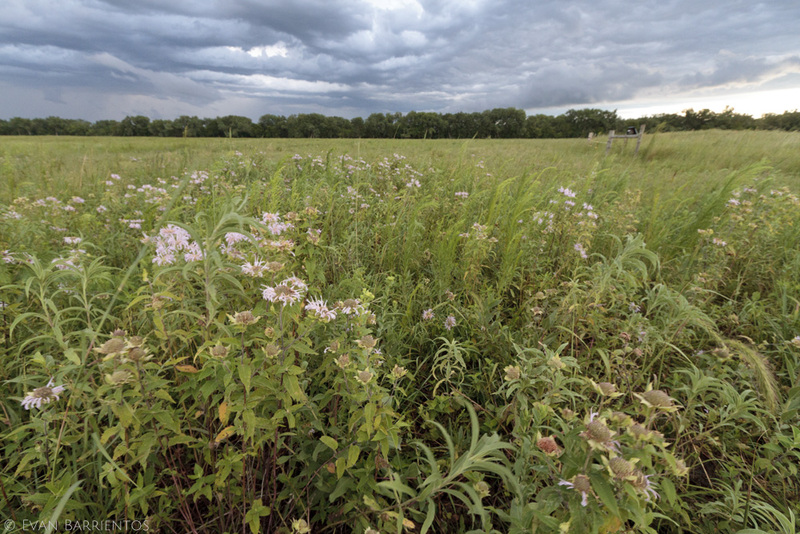 But healthy prairies are so much more scarce in eastern Nebraska than wooded roadsides, and grassland species are generally in decline, while most woodland species are stable or even increasing. * Therefore, I would choose to cut down trees that are encroaching upon prairies. This does not mean that I think all trees in Nebraska are evil and must be destroyed, just that we need to keep them in check in order to maintain a balance between the two habitats. *To make things even more complicated, while tree invasion is a real problem, cottonwoods are actually failing to reproduce in Nebraska. To germinate, cottonwoods need floods to scour vegetation and deposit sediment. Now that Nebraska’s rivers are regulated by dams, these floods happen much less often. As a result, we’re seeing very few young cottonwoods taking their parents’ place. This entry was posted in Hubbard Fellowship, Prairie Animals and tagged american robin, Baltimore Oriole, cottonwood, Eastern Screech-Owl, Mobbing, trees by Evan Barrientos. Bookmark the permalink. Great video!! 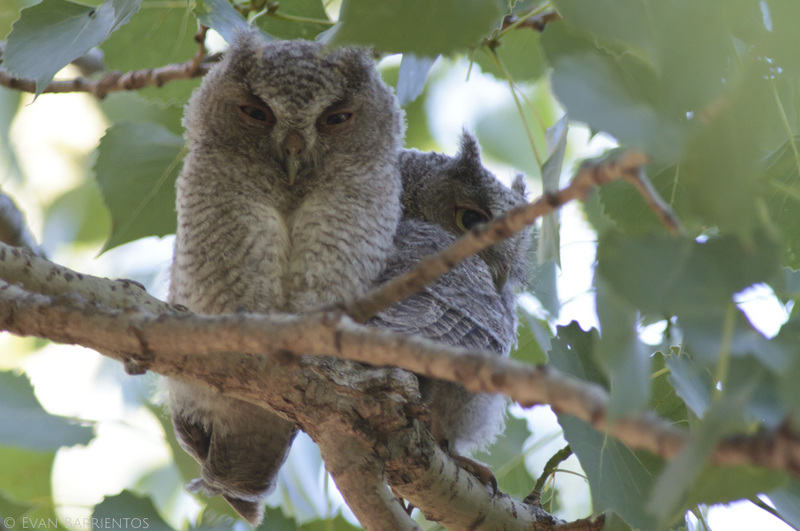 I had baby screech owls in my yard this summer too. It was the other birds mobbing the family that let me know they were there. So…when are the cottonwoods coming down? Well, we don’t have any plans for those cottonwoods, but throughout the fall and summer we’ve been busy working to clear a line of mulberry trees bordering one of our prairies with chainsaws and a tractor. I’ll hopefully be writing a post about that sometime this winter. Beautiful birds! Thanks for the video. I’ve been thinking about this issue for quite some time and I’m glad you’ve brought it up. I’m not a native to Nebraska, but I do love the prairie. That said, I’ve also been committed for many years to substituting row crops (corn & soy beans) with tree crops (hazelnuts, chestnuts, etc.). Personally, I think that row crops are much more damaging to the environment than agroforestry. I would greatly appreciate a discussion on this topic.